My Dear Friends -- This year has been one of mingled joys and sorrows. We never know what the future holds, but from my house to yours, and with all my heart, I wish you the very best surprises in the mysterious new year that awaits us. 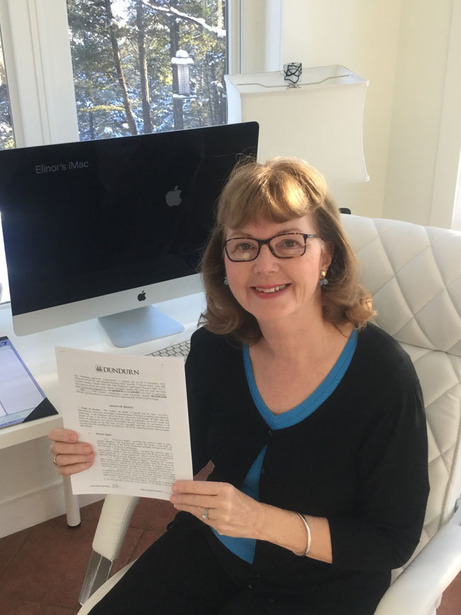 My year started off on a high note, with a signed contract from Dundurn Press for my new novel Wildwood, to be released in February 2018. This contemporary novel is about a single mother who must spend one year living in an abandoned farmhouse in the remote backwoods near Peace River, Alberta in order to collect her inheritance. Only the journal written by her great-aunt, the original homesteader, inspires Molly to persevere against all odds. For more info, click here: Wildwood. 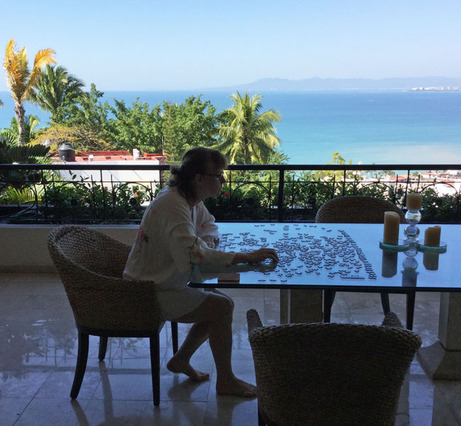 For the third winter in a row, we spent several weeks staying in a rented condominium in the heart of the old city of Puerto Vallarta, Mexico. Did you ever see a better spot than this balcony to pursue one of my favourite pastimes, doing jigsaw puzzles? And we're heading back there again in the new year! Happily, the internet service in Mexico is far better than ours here at home, so I'll be able to keep up with all my friends and contacts via social media. Unfortunately, it was back to reality when we arrived home in the Columbia Valley to find the snow still lying thick and deep. The little log cabin in our back yard, which I have furnished cowboy-style for my city visitors, was almost buried. 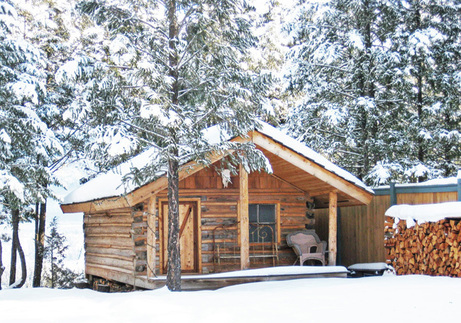 If you would like to see what my cabin looks like on the inside, click: Cowboy Cabin. 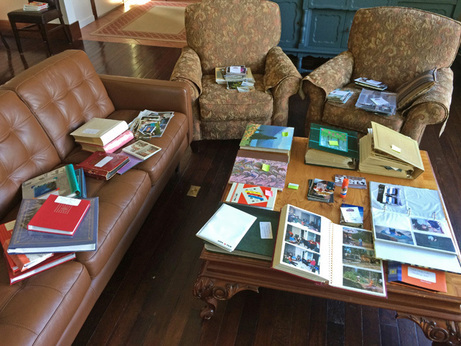 This is boring, I know, but I have to pat myself on the back for finishing a task which took me the ENTIRE month of April -- sorting and organizing a lifetime of family photographs. After procrastinating for years, I was so happy to get everything labelled and transferred into acid-free albums! The end result was thirty-seven chronological albums and three photo boxes for the oversized photos. Does anyone care except me? I live in hope that somebody will appreciate my efforts in the future. We have a cottage in Qualicum Beach on Vancouver Island, named Palm Tree Cottage because it has an actual palm tree in the back yard, although you can't see it in this photo. 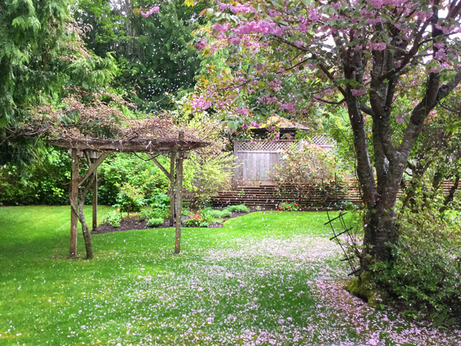 We visited in May when the trees were in blossom, and the sight of the petals raining down from the branches in the back yard was breath-taking. The cottage, located just a few blocks from a huge sandy beach, is rented when we aren't there. Qualicum Beach must be one of the prettiest spots in the entire world. 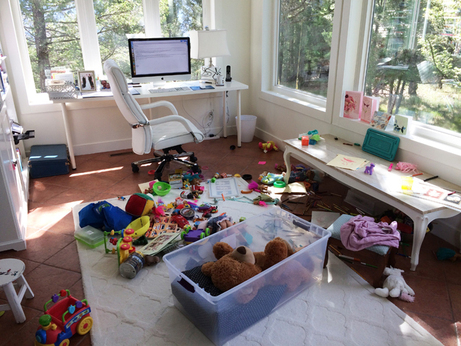 Prior to grandchildren, this was my pristine white home office! In June I completed the final edits for Wildwood while babysitting my little granddaughters. Let me rephrase that -- I worked on my computer while they were napping. Otherwise I was down on my knees building towers or playing house with stuffed animals! We made our annual visit to my childhood farm near North Battleford, Saskatchewan, now operated by my brother Rob Florence and his wife Wendy, who hosted a family reunion there. 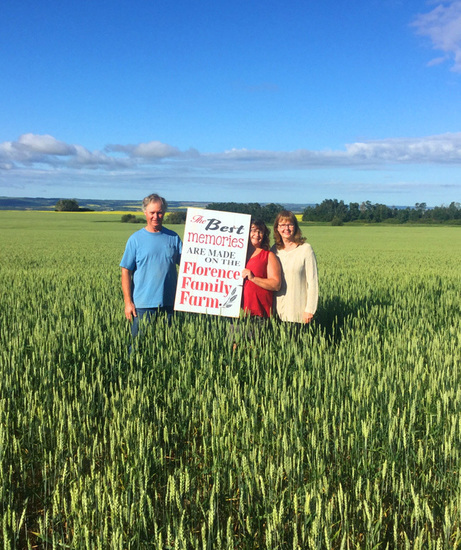 I had this sign made for them reading: "The Best Memories are Made on the Florence Family Farm." Truer words were never spoken. 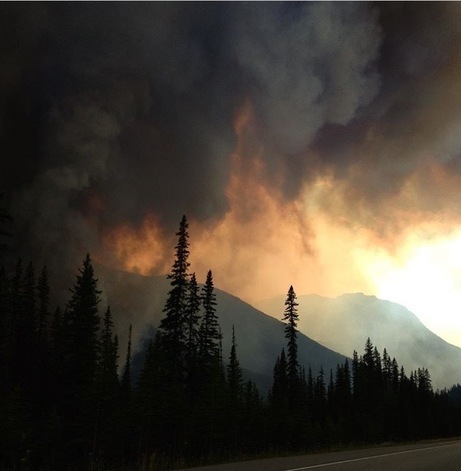 Everyone in our valley, and in much of the province, hunkered down indoors due to the forest fire smoke that permeated every square foot of the environment, including our bedding, clothes, and hair, not to mention our lungs! It was an awful way to spend the summer. What a relief when the smoke cleared in September. I continued to speak about women in wartime during the year, and I have so enjoyed meeting new people and making new friends. 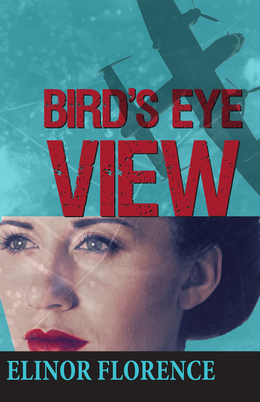 My wartime novel Bird’s Eye View is an ongoing success through word of mouth, especially with book clubs. Three years after publication, I still get emails from new readers who feel personally touched by my book. 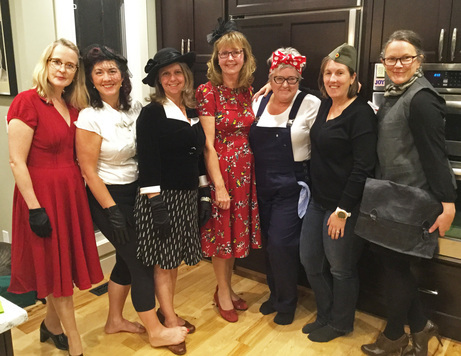 This book club in Calgary dressed in wartime vintage duds to welcome me at their September event! My self-published book My Favourite Veterans: Honouring World War Two’s Hometown Heroes sold out this year and now I’m into the second printing. This book, containing stories from my Wartime Wednesdays blog, is only available from me, or from Amazon. 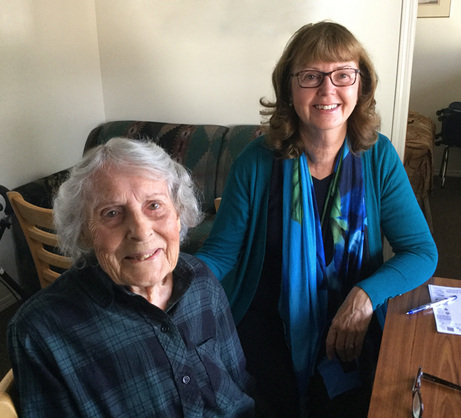 Meanwhile, I continue to interview veterans for my blog, including this remarkable 97-year-old air force veteran, Iris Porter of Calgary, whom I met in September. You may read her story here: Iris Porter. 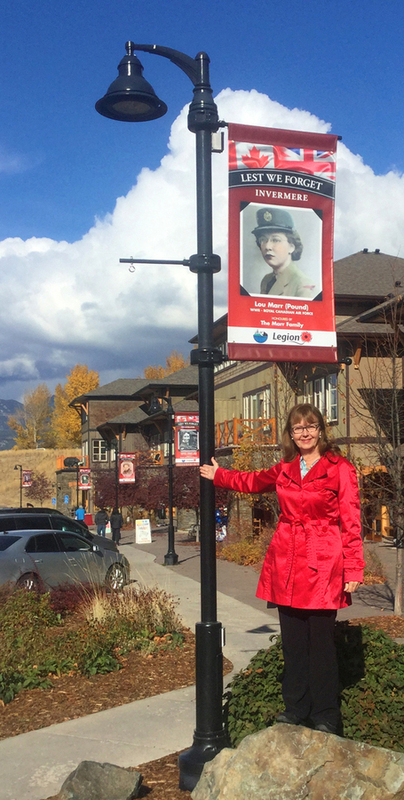 A source of great satisfaction was launching this new initiative in our town of Invermere, B.C., called Honour Our Veterans Banner Program. It consisted of creating individual hanging banners for each local veteran who served during wartime. The banners hung throughout October until after Remembrance Day. My friend Sandi Jones and I were the the organizers, and we have received many compliments on the striking results. I hope other communities will pick up on the idea, so I wrote a how-to guide. To read all about it, click: Honour Our Veterans. This is the greatest sorrow that our family has experienced in many years. My beloved mother died in November, at the age of 93. She was the inspiration for my book Bird’s Eye View, and my role model in every other aspect of my life. The character June Day in my novel was based on my mother June Light, whose father was the postmaster in Battleford, Saskatchewan. I love this photo of her and my father Douglas Florence, taken in 1946 not long after he arrived home after serving overseas with the Royal Canadian Air Force, although I can't look at it without crying. If you would like to know more about this remarkable woman, click here for her online obituary: June Light Florence. The cycle of life continues. 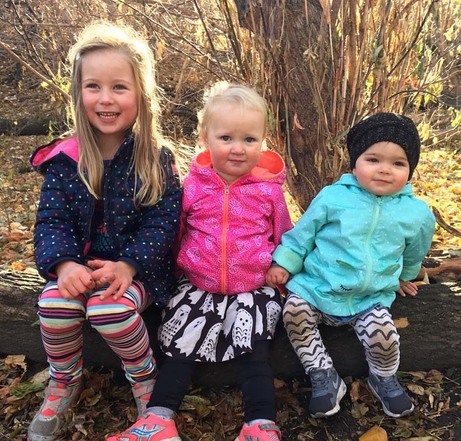 We have three grown daughters and one of them is expecting again in 2018. We now have three big girls and three little girls: Nora, Juliet and Quinn. I dedicated my novel Wildwood to them, trusting that they will carry on our family traditions. My husband Heinz and I are hosting Christmas this year, and our delight in the little ones will mitigate the pain of seeing my mother’s empty chair. 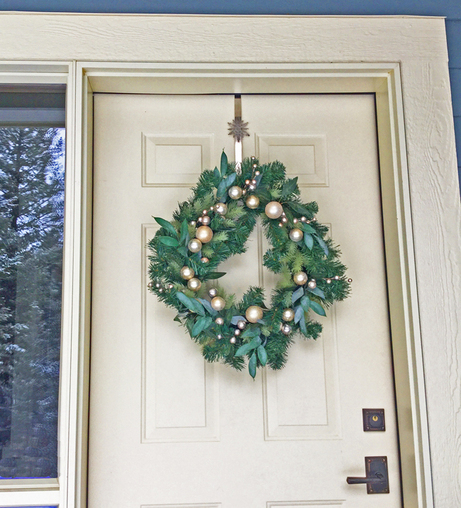 My little town of Invermere, B.C. 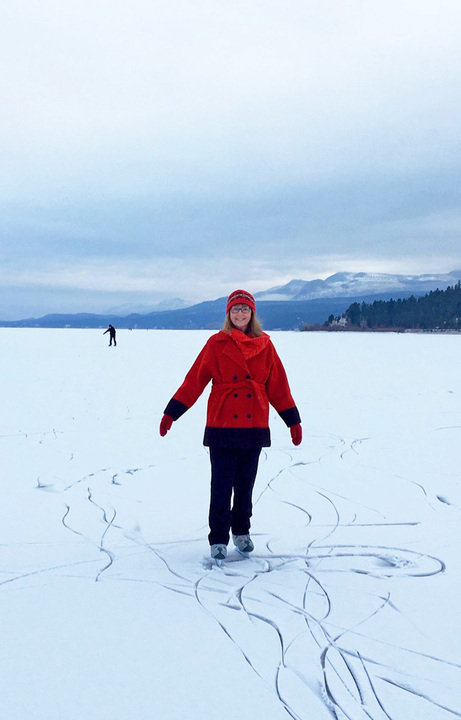 made the national news recently, because Lake Windermere froze into a perfect mirror of black ice! By the time this photo was taken, a skiff of snow covered its perfection, but the skating is still fantastic because the ice underneath is like a sheet of glass. Here I am, wearing the authentic Hudson Bay blanket coat that I found at our local thrift store, trying not to fall down and break my wrist, or worse! Read the story here in The Globe & Mail, Canada’s national newspaper, by clicking: Skating on Black Ice. Thank you, dear friends and readers, for your ongoing support. I'll be travelling around Western Canada in 2018 with my new novel, and I hope to see many of you again, or meet you for the first time. 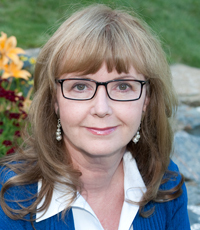 My first book event will take place right here at home, hosted by the Invermere Public Library and the Columbia Valley Arts Council on March 14, 2018. Watch my Events page for my full events schedule.